In light of the latest UK/EU agreement to extend the timeframe for Brexit, the Hampshire and Isle of Wight Local Resilience Forum (LRF) has agreed to stand down Operation Transmission. 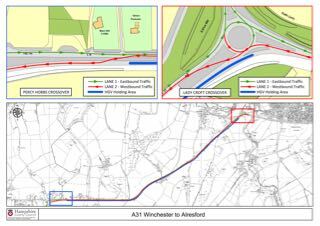 Therefore, work to install the contraflow on the A31 between Winchester and Alresford, as outlined in my email to you earlier this week, will NOT be going aheadtonight. We will of course keep a close eye on national developments and will continue to work with the LRF to minimise any potential impact on Hampshire’s road network once a new leaving date has been agreed.